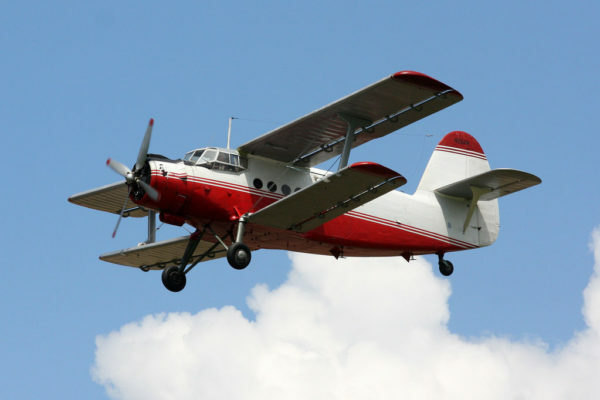 Designed originally for agricultural duties under the designation Skh–1, the AN-2 utility transport flew for the first time in 1947, and it has been manufactured in extremely large numbers for both military and civilian roles. Of robust construction and suitable for operation from short, semi-prepared strips, the An–2 is employed extensively by the Soviet Air Force as a light freighter, a paratrooper training aircraft, and as a radio and navigational trainer. As a freighter, the An–2 will carry a 3,000 lb. load, and as a personnel transport up to fourteen seats may be installed. 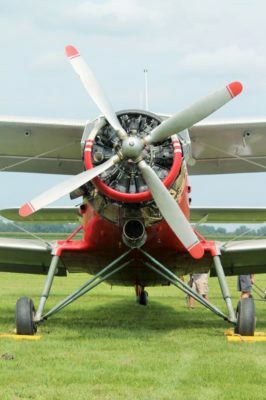 “Natasha,” the 1941 Aircraft Group’s An–2, was built in 1987 and acquired from Columbia, Missouri, in 1998. Restoration was accomplished over the Winter of 1999-2000 and “Natasha” took her maiden flight on May 11, 2000. Restoration has recently begun on Natasha’s partner. In 2015 after securing a rebuilt engine Natasha took to the air again in September. Look for her over the area in 2019.